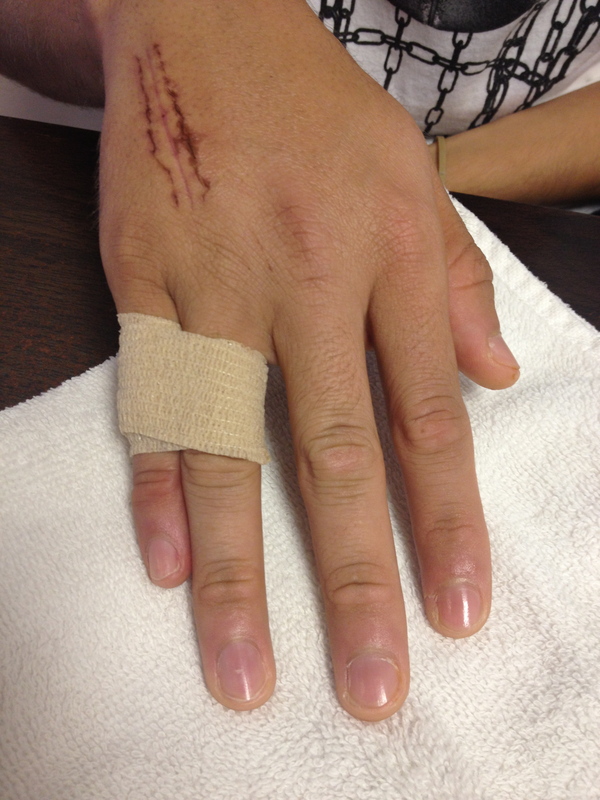 Self-adhering bandages can be a wonderful way to hold dressings in place or to cover an open wound in a hand injury. Because the bandage sticks to itself and not to the skin, it is an ideal choice for those who are allergic to adhesive or whose skin tears easily. In addition to the obvious use as wound coverage, self-adhering bandages can also be used to accomplish a variety of goals during the recovery of a hand injury. The self-adhering bandage can be used to buddy-tape an injured finger to an adjacent finger. This provides protection for the injured finger. 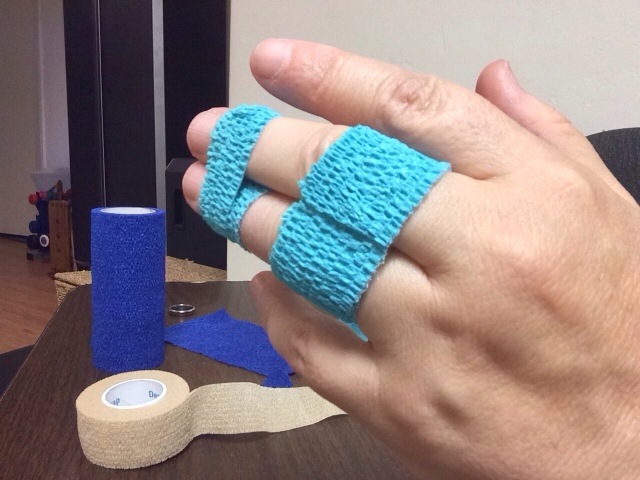 Buddy-taping can also be used to mobilize an injured finger that is at risk of becoming stiff (of course, only use it in this manner if the injury has healed to the point that motion is allowed). 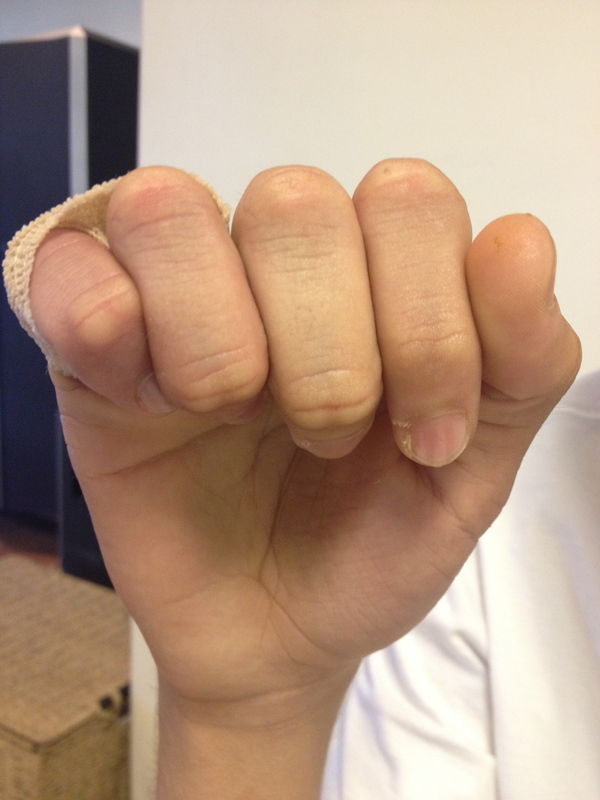 When used as a spiral wrap moving around the finger from the tip towards the wrist, a light compression can help reduce swelling in the finger or a finger joint. Be careful not to put the wrap on too tightly. Just lightly take up the tension as the wrap is applied. 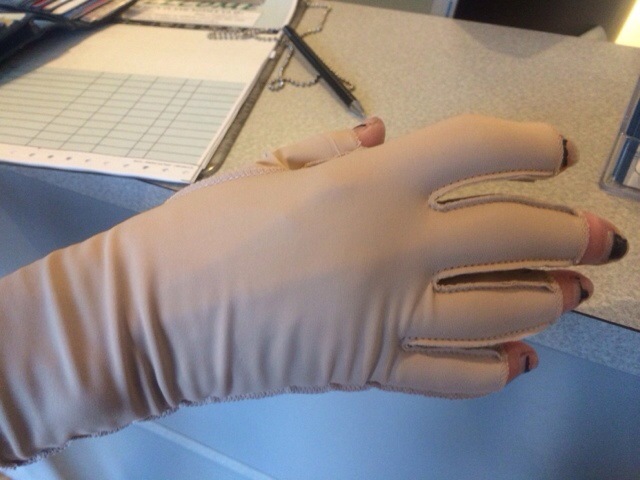 Remove the wrap if it appears to be compromising the circulation of the finger in any manner (for example, if the finger tip turns cool or purplish or if the wrap causes pain). 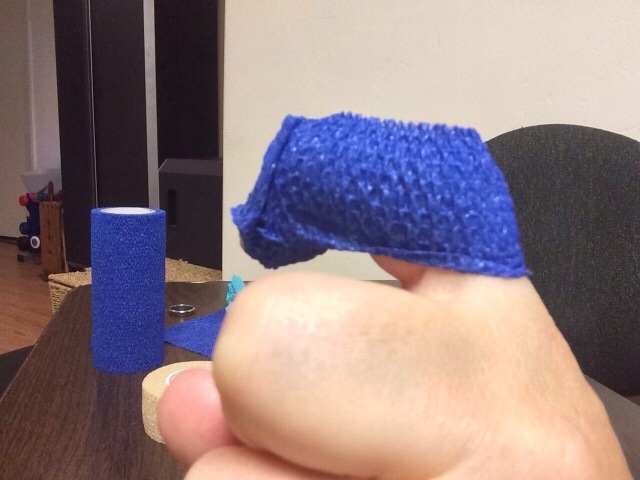 Self-adhering bandage can be used to create a stretch for stiff fingers. Wrap the fingers that need to improve motion into a gentle bend. Keep the bandage on for 20-30 minutes, 3-4 times a day. Remove immediately, however, if pain increases dramatically. 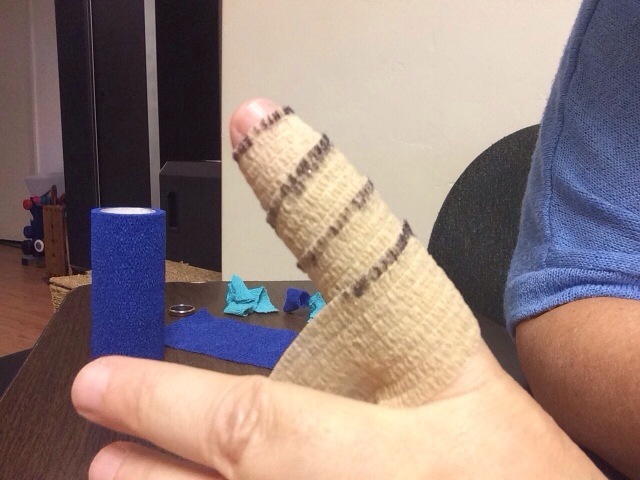 Self-adhering wrap can be used to correct for a rotational misalignment by gently spiraling the wrap into the corrected position and strapping the injured finger to the adjacent finger. Self-adhereing bandages come in a variety of sizes and colors. It can be purchased through medical supply companies, pharmacies, and even veterinary supply outlets.